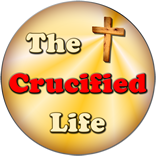 HomeThe Crucified Life Ministries BlogWho and What is Influencing the Minds of Your Children? Who and What is Influencing the Minds of Your Children? 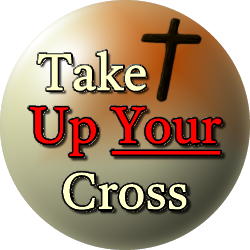 It is a sad thing that many members of the next generation are falling through gaping spiritual cracks and crevices readily found in this world. Not only are today’s youth falling headfirst into a great spiritual abyss but falling right along with them are authority figures, leaders, and parents. God commands mothers and fathers be a godly testimony to their children. Today children are raising children, grandparents are raising grandkids, and many parents can be found to be inattentive, absent minded, or missing from the lives of their own children. Many adults are found to be spiritually dead and far removed from possessing a relationship with God. Many parents are simply not interested in reaching their kids with the gospel message, potentially never even having the opportunity to hear it for themselves. They have no spiritual heritage to pass on to their kids or to teach to the hearts of the next generation. Instead, guidance and Influence from rock stars, entertainment giants, video game characters, and sports stars often are the norm. Infamous or notorious persons often line the top ten list of most inspiring people in the minds of many young people today. The youth are introduced to famous, glitzy, and glamourous people at an early age rather than being encouraged to develop a lasting relationship with God and be surrounded by godly people as they sojourn in this world. Alliances with ungodly and rebellious people are popular in this world but are spiritually potent. Hope placed in the Truth of God is the only thing that will last for all eternity.